Blog | Your Top of the Line for Fishing Information! Your Top of the Line for Fishing Information! 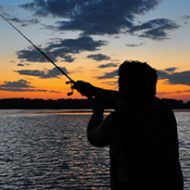 Your Top of the Line for Fishing Information!, Proudly powered by WordPress.